Joshua Rush, who plays the role of Cyrus in the hit Disney Channel series, "Andi Mack," just became the first Disney Channel character to ever say those two words. His performance as Cyrus also marks the first portrayal of an openly gay character on Disney Channel. “Taking on the role of Cyrus has been one of the most fun things I've ever done in my life," Rush told "GMA." "Being Jewish, being 14, going to middle school, having this small, close-knit group of friends, and being gay are all just parts of his personality," he affirmed. The reaction to his character coming out? "Overwhelmingly positive," he said, adding that "over the last few days I've really gotten to see the myriad of ways that both this new coming-out scene for Cyrus, and this Jewish representation of his family, has affected the fans." 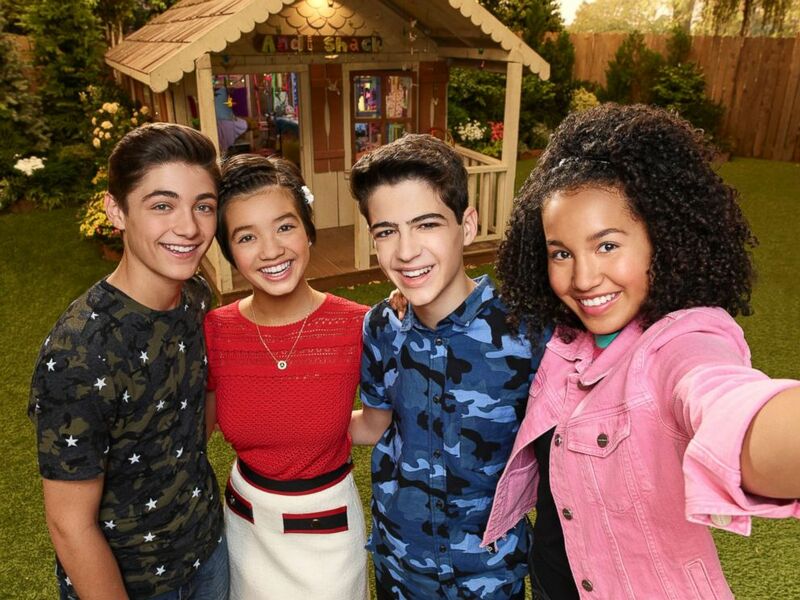 Asher Angel, Peyton Elizabeth Lee, Joshua Rush and Sofia Wylie star in the Disney Channel's, "Andi Mack." In the moving scene that aired last week, Cyrus is joined by his friends at his grandmother's shiva, the first week of mourning observed by those of the Jewish faith for someone who has passed away. Cyrus finds it's the right time for him to come out to his best guy friend, Jonah, played by actor Asher Angel. Cyrus previously came out to his friends Andi and Buffy in two separate past episodes of the show, but has never actually said the words, "I'm gay" until now. "Cyrus has taught me a lot about being comfortable with myself no matter what others think," Rush told "GMA." "I was bullied a lot at Cyrus’ age," he said, "so it's inspiring to see how Cyrus knows he doesn’t have it all figured out yet, but he isn’t afraid to ask the hard questions about who he might be and what that means for him." In a tweet, Rush said "every day is a blessing" to be part of the show "Andi Mack." Calling the latest development with his character Cyrus, "a milestone." 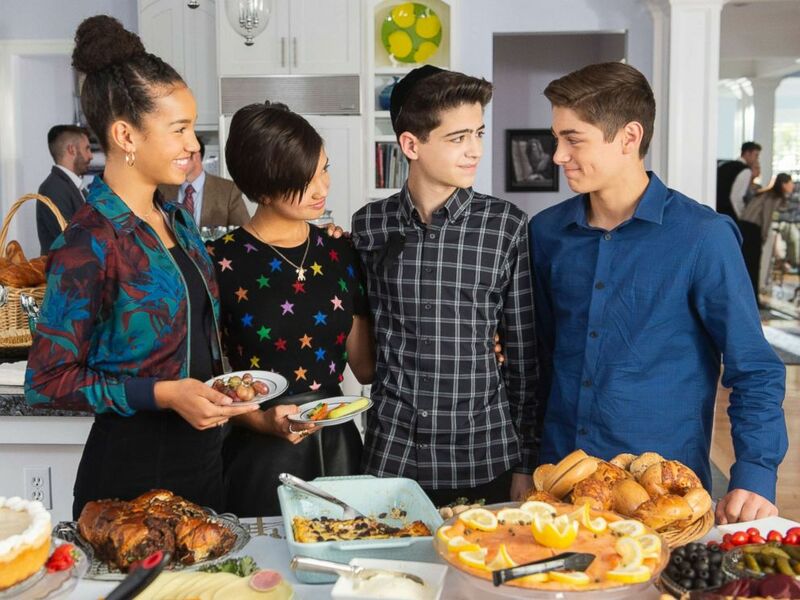 Jonathan Hurwitz, who wrote this episode of "Andi Mack," entitled "One in a Minyan," shared in a blog post published by GLAAD that he was driven from personal experience to write this episode and do it right "as someone who’s Jewish, has dealt with long-term anxiety, and has come out to his friends and family." "In the writer’s room, I shared a personal story about how nervous I was to come out to a college friend back in 2010. While grabbing burgers one afternoon, he asked me to pass the ketchup, so I handed him the bottle while mumbling the words, 'I’m gay.,'" Hurwitz wrote. "He looked up at me, said 'Cool,' then proceeded to put ketchup on his burger as if I hadn’t just revealed my most personal, deepest truth. I remember thinking: That’s it?! After a ten-year journey to come out to myself, I finally come out to my friend and all I get is a 'Cool?!' But what I ultimately realized was that my friends and family loved me unconditionally before I’d even learned to truly love myself." Hurwitz wrote that he used his experience to craft Cyrus' coming out storyline to Jonah. "In spite of Cyrus' nerves about telling Buffy, Andi, and now Jonah, he continually underestimates how much people accept him for who he is," he wrote. "No matter how 'weird' or 'different' he feels (his words from Season One), his friends will always be right by his side, loving and supporting him." Sofia Wylie, Peyton Elizabeth Lee, Joshua Rush and Asher Angel star in the Disney Channel's, "Andi Mack." For many, the process of coming out is as terrifying as it is exhilarating. That process is unique and different for everyone, and is sometimes met by rejection and even violence. According to Brock Dumville, M.P.H. and Senior Crisis Services Manager for The Trevor Project, "the best way to support your friend would be to celebrate them for making choices that feel healthy for them, including if that is choosing not to come out." The Trevor Project is a national organization providing crisis intervention for LGBTQ+ youth under 25. Visit the Trevor Project's "Coming Out As You" resource page for more. "Andi Mack" airs Friday nights at 8/7c on the Disney Channel. Disney is the parent company of ABC News and "Good Morning America."